The 110-Series represents the best a headset can be. 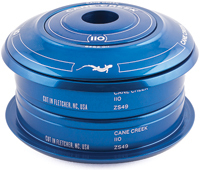 Cane Creek’s 110 features optimal materials, the most effective seals and the best aesthetics in the market today. 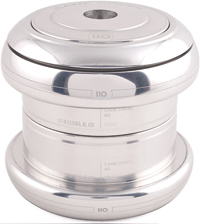 Cane Creek is so confident in the strength and durability of the 110-Series that they stand behind each headset with a 110-year, no-questions-asked warranty. The 110 is constructed out of 7075 T-6 Aluminum and is internally contoured and relieved to minimize weight and maximize strength. 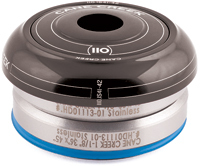 It features top-quality split-lip seal stainless-steel bearings and a “Dual-Seal” crown race seal that provides excellent seal efficiency with low friction. Available in Silver, Black, Blue and Red. Available in traditional, ZeroStack and Integrated standards. 1-1/8″ only.